I am so bummed. Bummed about dirt. Really bummed. 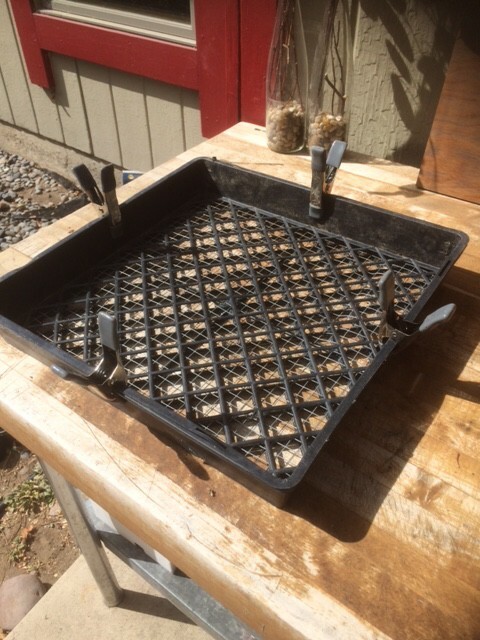 I made this fancy sifter for my compost pile and I was looking forward to pulling out my compost and sifting down to make it finer, which allows the compost’s nutrients to get to the roots easily. I used 2 plant trays from my local nursery. 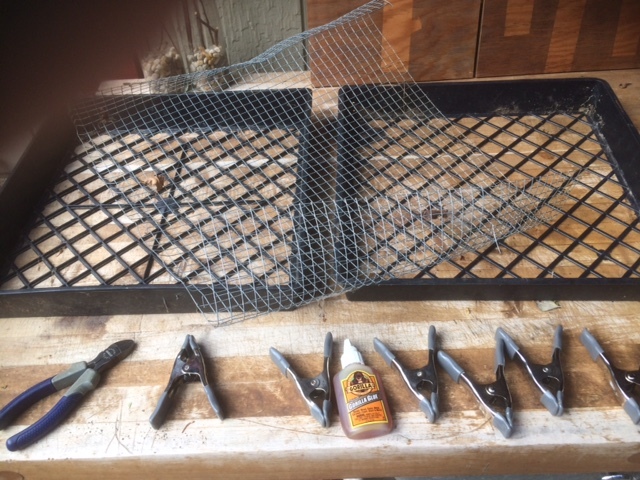 I put some chicken wire between the two trays and glue it with my favorite Gorilla Glue. Alas, as I went to go harvesting that luscious black dirt. I found it riddled with earwigs and earwig eggs. Eeeuw. I chucked it all, to start fresh in Spring ’16. So tired of those bugs eating my plants. I really don’t need to house them AND deliver them to my plants. So. 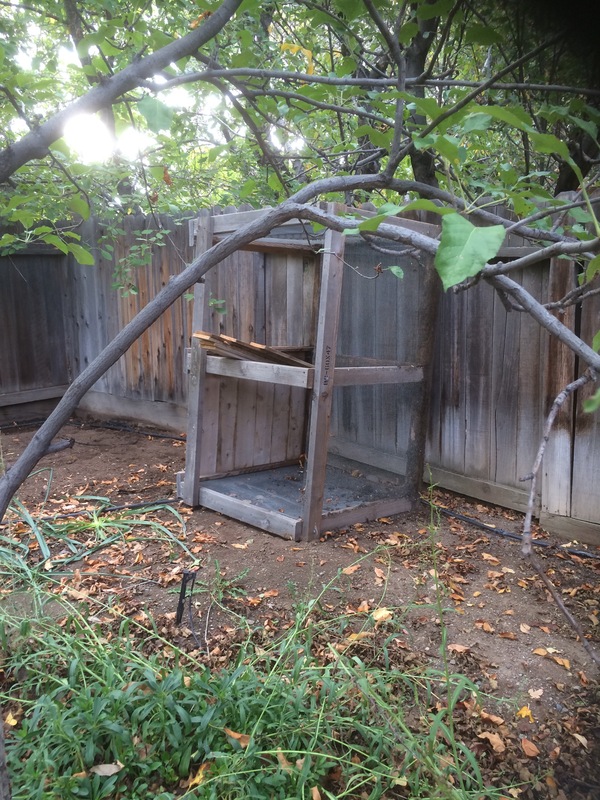 While my bin is sad and on its side, read about how to make one for your self. Here is the post with free plans HT Martha Stewart and Iowa State University.